Supreme Court on Wednesday orders Government authorities to collect Capital Gain taxes (CGT) from Ncell itself. Earlier there was a confusion for whom to charge the amount gained after the acquisition of Ncell by Axiata from TeliaSonera. A full bench of Chief Justice Cholendra Sumsher JBR and other Justices Mira Khadka, Bishwombar Shrestha, Ananda Mohan Bhattarai, and Tanka Moktan, has come to a decision to collect the Capital gain taxes from Axiata company and Ncell. In April 2016, Malaysian Company Axiata acquired 80 % of Ncell Share from Swedish company Telia Sonera at Rs 144 billion. As per the rule, Nepal Government should get 25 Percent of the capital gain in the deal transfer from TeliaSonera to Axiata. But as Nepal Government did not get the 25 Percent amount, there was a big controversy with the deal. Although Ncell paid around 21 billion (in total) to Government as CGT, they claim the amount to be charge is more than that. As per the infomation provided by Ministry of Finance to PAC committee, Parliament, the remaining amount to recover from CGT is Rs 60.71 billion. Axiata had been claiming those taxes not to be under their responsibility while TeliaSonera had left with no any strings attached here. Advocate Dwarika Nath Dhungel filed a petition to recover the CGT amount from Ncell itself. Based On which, the Supreme Court decides and orders Large Tax payer’s office to collect the due amount from Ncell. 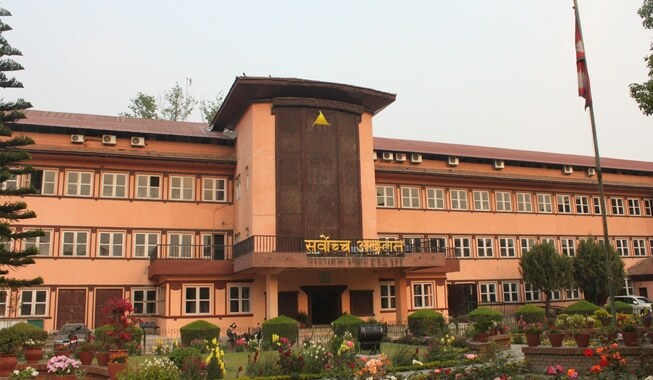 Supreme Court also drops the petition filed by Devendra Prasad Nhuche to relieve Ncell from the tax case.